WELCOME! 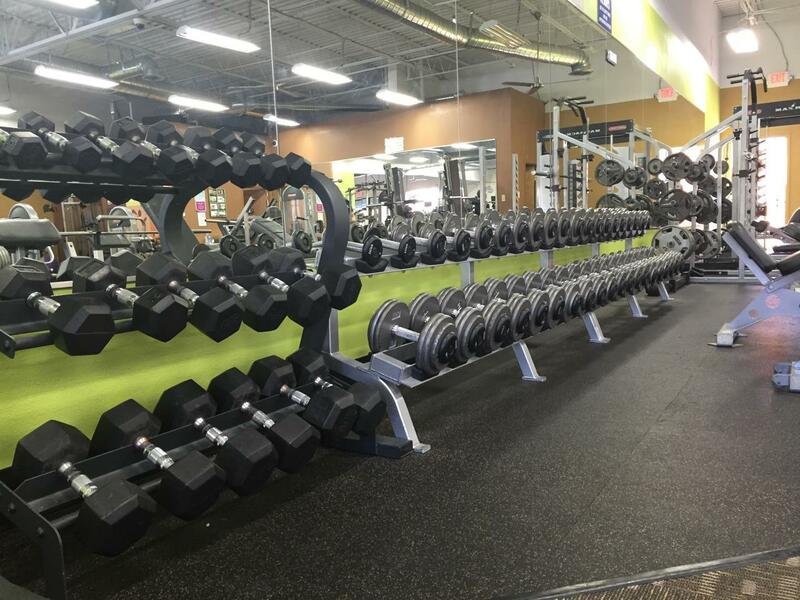 Anytime Fitness NE Heights ABQ is conveniently located in Mountain Run. Our friendly & professional staff is trained to help you Get to a Healthier Place! Membership includes a no-pressure fitness consult, group classes, the exclusive Workouts App & global access to over 4,500 gyms with always-open, 24/7 access. All of this in a clean & welcoming club with a supportive member community. Visit during staffed hours or call for an appointment today - so YOU can see how WE'RE DIFFERENT! CURRENT MEMBERS: Refer a Friend & Get 1 Month Free! For each friend or family member who joins, you'll get a free month of membership, plus a workout buddy. There's no limit—refer 12 friends and you could get a year free! Right now it's $1 to join!! We'll help you smash your goals & save $$$! Day Passes are $10, they include club access, classes & wifi. Valid during staffed hours with photo ID. MEMBERS: you can bring a buddy 24-7 for only $5, so bring your friends in to workout with you! 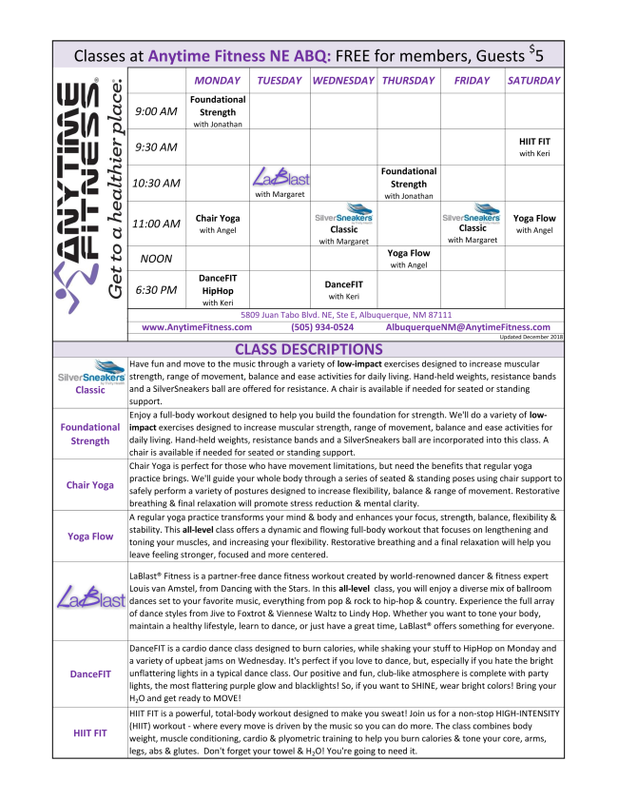 Briana is a co-owner and instructor at Anytime Fitness NE ABQ. She has a personal training certificate, SilverSneakers fitness training and a degree in business and management, with a passion for growing small businesses. Briana's less of a "gym person" - more a "bundle up on the couch with a book (YA horror is her guilty pleasure) and some tea" kind of person. Before becoming a mom, she did makeup professionally in Los Angeles for 10 years. In 2013, Briana, Miño (the other half) & Maks (the kiddo), moved to Albuquerque. With a partner as a personal trainer and baby weight to lose, Briana begrudgingly tried the local gyms. Anytime was surprisingly different than ANY gym she'd ever been a member of. 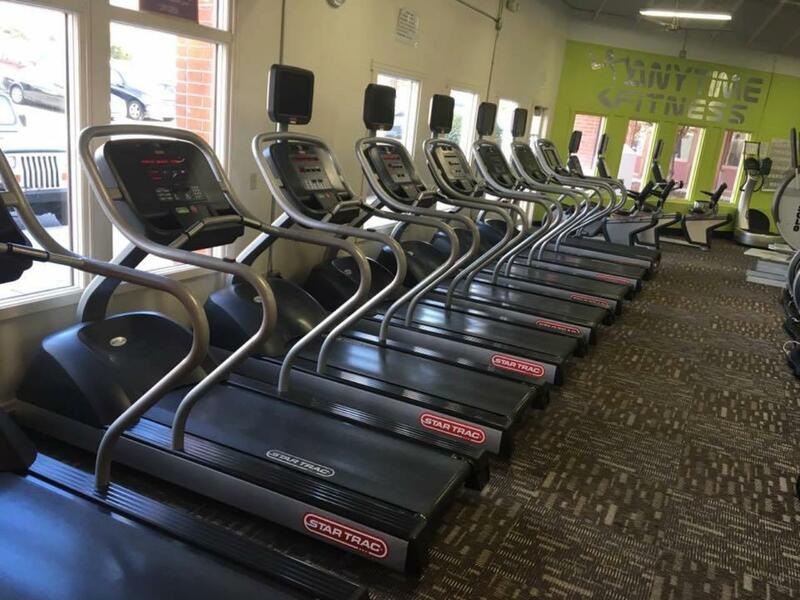 With the opportunity to purchase a gym that could make even her feel comfortable, she went all in. She's dedicated to making your gym experience fun & fulfilling, while providing a clean & safe place for you to get to a healthier place. If you need anything, text her at (505) 934-0524. Miño is a co-owner of Anytime Fitness NE Heights on Juan Tabo, and a NASM Certified Personal Trainer, Fitness Nutrition Specialist, Group Training and Weight Loss Specialist with a degree in Marketing. His passion for training began in his early twenties after a major weight loss in his mid-teens. He discovered strength training and decided he wanted to help people get stronger. He began his Personal Training career in 2011 in Los Angeles, CA. 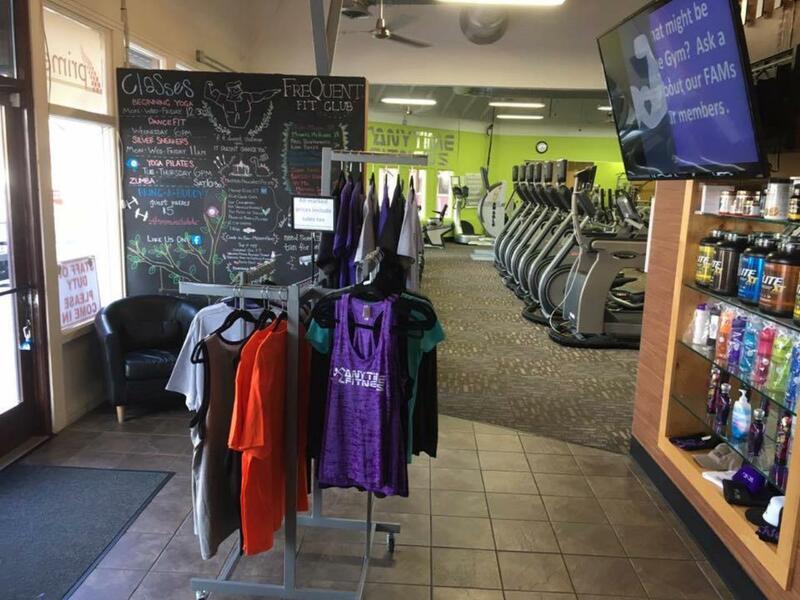 After moving to ABQ in 2013, he was hired as a Personal Trainer at this very location. In 2016, him and Briana (the other half) got the opportunity to purchase the club that was already home to them. Miño trains people of all ages/activity levels, does house calls, and his current clients range from the ages of 16-85. He can work around injuries, and offers fun and dynamic workouts each session. In his down time, Miño loves relaxing and playing with his son Maks. He personally trains for strength competitions, and holds 2 state records. Tanya has been working with us since January 2017, and was promoted to full time in September 2017. She's become our right hand woman, and now the one you'll see in the office most often. Tanya is dedicated to ensuring that our members have a positive experience every time they walk in the door. When Tanya isn't working or working out, she enjoys spending time with her family and friends. You might spot her around town doing yoga, playing volleyball, dancing or checking out a brewery. She also loves cooking, baking, and watching movies on her free time. Tanya has a passion for helping children, and is continuing her education so that she can make a difference in kids lives. 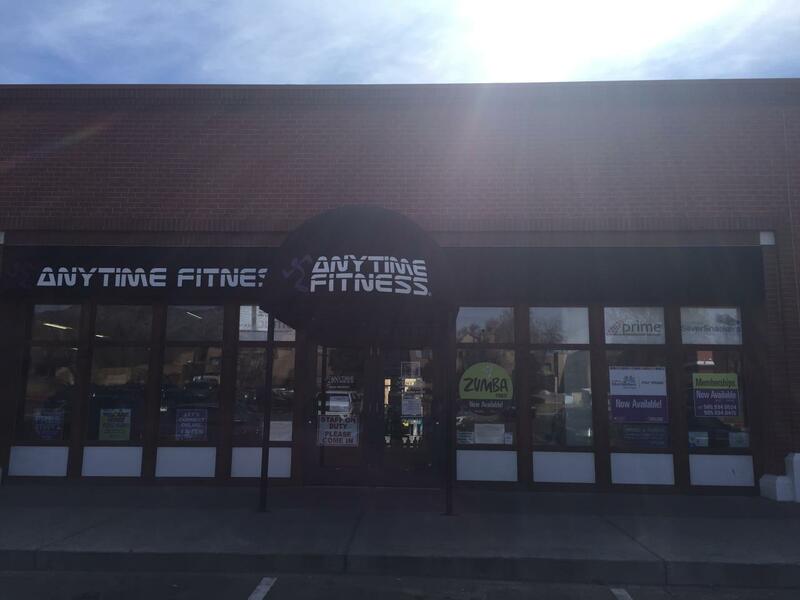 Margaret, a life-long fitness enthusiast, has been a personal trainer for 15 years and a part of our Anytime Fitness ABQ NE Heights team since October 2017; however, she started out as a member! Certified by ISSA (International Sports Sciences Association), Margaret strives to give each client she works with the results they seek. -----“I truly believe that a consistent fitness program can impact our physical, social, and emotional well-being, even change our lives for the better.” ----- She's experienced in working with individuals, couples, or groups from ages 18 to 81. Margaret is also a dance fitness instructor with LaBlast, created by Louis van Amstel from Dancing with the Stars, and leads both SilverSneakers Classic and Yoga classes as well. When not at the gym, Margaret enjoys reading (history is her favorite), dancing, and spoiling her gorgeous cat, Tyson. Margaret is also an avid supporter of veterans and their contributions to our nation. Jonathan has been an Anytime Fitness member since 2009, and is now an Ace Certified Personal Trainer! He is hardworking and driven with a passion for fitness and a desire to help people live their healthiest lives. His love for an active lifestyle began in High School where he participated in wrestling, football, ROTC and weight training. Jon specializes in functional fitness and enjoys shaking things up by trying new and different workouts regularly - including strength training, cardio and HIIT. When Jon's not working, he's working on earning his Bachelor's Degree in Nutrition & Dietetics, with a minor in Psychology. Once he becomes a Registered Dietitian, he will work on becoming a Physical Therapist. Even with his busy work and school schedule, Jonathan loves to go hiking, shooting, snowboarding, wake-boarding, doing parkour or using his green thumb. His most recent additions to his garden are avocados, lemons, brussel sprouts and cilantro. Stop in to meet him!